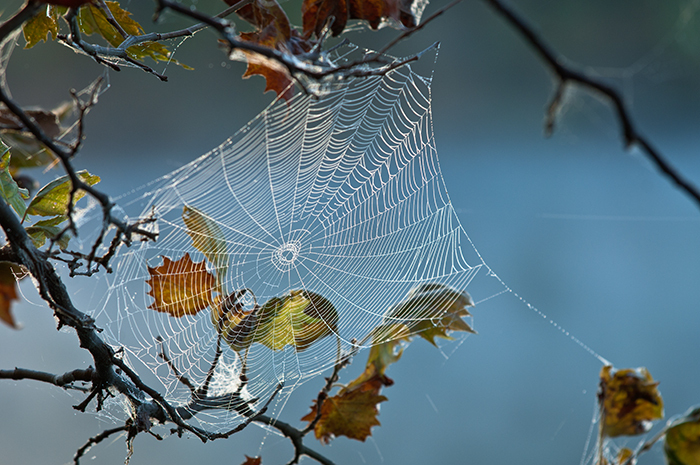 I happened upon this web during an early morning hike around the Hematite Lake. Seeing the potential, I waited for the sun to peak over the treeline of the lake to shed some defining light on the weblines. With great light and a lull in the cool breeze that blew, the image was made.